Orange County is a vast upscale suburbia in southern California that happens to be home to the biggest family tourist attraction in the area: Disneyland. However, there are also tons of other fun things to do in Orange County with kids. From riding coasters at Disneyland and Knott's Berry Farm to exploring science at the Discovery Center, there's no shortage of things you can do on your trip to this suburban sprawl south of Los Angeles. The biggest attraction for kids in Orange County is obviously the Disneyland Resort, which can keep a family with kids busy almost indefinitely. Between Disneyland and Disney California Adventure, there are plenty of rides and attractions perfect for kids of all ages to enjoy. While many Los Angeles and Orange County families purchase an annual pass and go regularly, you can usually score a great discount if you book a vacation package with Disney. Both parks are open year-round, offer unique seasonal celebrations throughout the year, and are easily accessible from anywhere in Orange County. Not far from Disneyland in Buena Park, and at about half the price for admission, the Cedar Fairs Company operates Knott's Berry Farm theme park. It has a great combination of rides for younger children and thrill seekers, along with Knott's Soak City, an adjacent water park. Billed as "America's First Theme Park," Knott's Berry Farm offers a combination of Old West Ghost Town charm with a "Peanuts" theme and family-friendly rides, perfect for a full day of adventure. For those looking for the best rides, stop by Xcalerator, the Silver Bullet, and the Ghostrider wooden coaster. 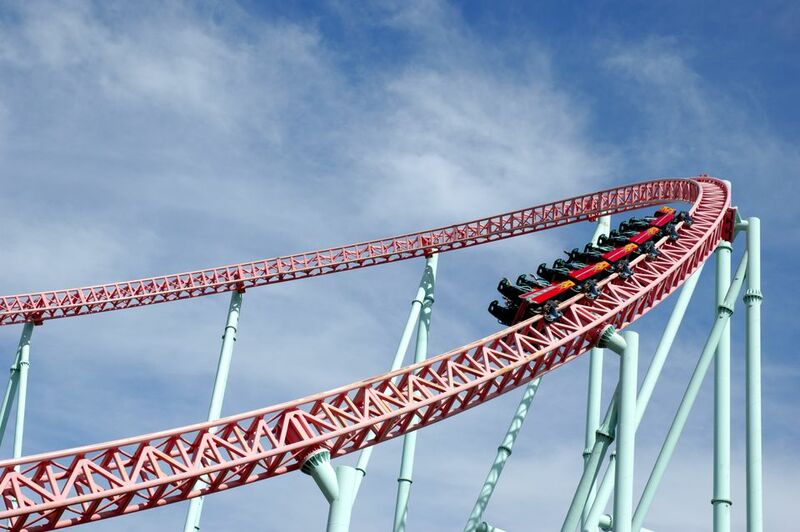 Knott's Berry Farm is open year-round, but hours vary slightly by season. Next door, Soak City offers nine rides and 17 different water slides, as well as a wave pool, kiddie play area, a floating river, and a variety of flumes and chutes for all ages. Soak City, however, is only open on select days from May through September each year. Visiting the Discovery Science Foundation and Discovery Cube Orange County is another great option near Disneyland. With the giant cube on top and over 100 interactive exhibits to help kids learn about scientific concepts, the Discovery Science Center is one of the best places to go if you want to spend the day immersing your child in interactive, educational environments. The Discovery Cube Orange County is located at 2500 North Main Street in Santa Ana, California, and is open year-round except for on Thanksgiving Day and Christmas Day. Usual hours of operation are from 10 a.m. to 5 p.m. daily. Orange County has plenty of beaches—from Seal Beach all the way down to San Clemente—where you can spend a few hours playing in the sand and teasing the waves on the shore on a hot summer or winter day. The beaches in Huntington Beach are especially family-friendly, with huge parking lots, restrooms, and concessions on-site. Balboa Beach in Newport Beach also has a Fun Zone with a couple kiddie rides. However, be aware that temperatures at the beach are usually lower than inland and the water is always cold. The Bowers Museum's exhibits on Native American culture and artifacts from China and South America can be fascinating for older kids. A block away you'll find the Kidseum with special hands-on exhibits designed to give younger audiences an appreciation of art and culture. Additionally, the Bowers Museum also hosts free family festivals in the courtyard on select Sundays throughout the year. The Bowers Museum is located at 2002 North Main Street while the Kidseum is at 1802 North Main Street in Santa Ana, California. Both museums are open Tuesdays through Sundays throughout the year from 10 a.m. to 4 p.m. daily. Admission varies depending on special exhibits and whether you're planning on visiting both attractions. If you're looking to create a pirate-themed day of adventure for your children, there are several ways you can "take to the high seas" in Orange County. Start your afternoon by taking the kids to see the Pirates Dinner Adventure in Buena Park, which features a thrilling dinnertime performance from the stage modeled after an 18th-century Spanish galleon. Afterward, you can then go visit the tall ships in Dana Point to learn about sailing the seas on these beautiful vessels. While you're there, visit the Ocean Institute, where the ships are docked, to learn more about the ocean, life at sea, and the history of seafaring off the coast of Orange County. Located in Irvine, California, Pretend City is Orange County's premier Children's Museum, which is set up to mimic a small town complete with local businesses set up along mini-streets. Younger kids can visit Pretend City to play at the post office, the library, or the supermarket or even go to a miniature beach. Pretend City is located at 29 Hubble Street in Irvine, California, right off the 405 and 5 freeways near the Irvine Spectrum and is open daily throughout the year—typically from 10 or 11 a.m. to 5 p.m. Additionally, members get access to the museum one hour before general admission. In the spring and summer, take the kids to see a baseball game at Angel Stadium and take their picture under the giant baseball hat. During the fall and winter, see a hockey game at the Honda Center. Both Angel Stadium and the Honda Center are located Anaheim, not far from Disneyland, and require tickets to attend any sporting event. However, there are also several special events and celebrations held at both arenas, so check the individual websites for a full calendar for the year. Enjoy a two-hour jousting tournament featuring six competing knights, real weapons, beautiful horses, and a life flight of the royal falcon at Medieval Times Dinner and Tournament in Buena Park. Popular across the country for its dinner-and-a-show attraction, Medieval Times in Orange County is a great way to introduce your kids to a bit of history while enjoying a hot meal of turkey, potatoes, and garlic bread with your fingers. Medieval Times is located inside a building modeled to look like an authentic medieval castle at 7662 Beach Boulevard in Buena Park, just south of the 39 and 91 freeways and a little bit west of Highway 5. Showtimes typically start around 7 p.m. on weekdays, but two performances take place both Saturdays and Sundays, and special shows are scheduled throughout the year for school groups. Orange County has two small zoos, the Santa Ana Zoo at Prentice Park and the Orange County Zoo in Irvine, which are often overshadowed by the Los Angeles Zoo and the San Diego Zoo and Wild Animal Park. While not as many people visit these smaller zoos, kids who love animals will find plenty to do at either one. The Santa Ana Zoo focuses on animals of South and Central America and is best known for its population of 50 monkeys. There is also a petting zoo of farm animals as well as a train ride and carousel. Meanwhile, the Orange County Zoo showcases animals native to the Southwest United States. It's located in Irvine Regional Park, where you'll find other kid-friendly activities like a train ride, bike rentals, and paddle boats. Additionally, there's also a Reptile Zoo in Fountain Valley where kids can get an up-close and personal reptilian experience. Kayaking is a great activity to do with kids, and as long as they're old enough to swim a bit and understand the danger of leaning over the side of the kayak, they're big enough to go kayaking with parents in tandem or three-seater kayaks. Children as young as 5 are able to enjoy this popular activity freely (provided they rent and use a life jacket), but those traveling with small infants may want to skip out on this adventure. The best places for calm, stillwater kayaking in Orange County are Sunset Beach, which has two outfitters, OEX and Sunset Kayaks, and further south in Newport Harbor and Newport Back Bay. If the idea of Disneyland is overwhelming or not in your budget, Adventure City's 17 smaller-scale rides and shows will keep the young ones entertained for quite a while for about a quarter of the price. Adventure City is located at 1238 South Beach Boulevard in Anaheim, California, and is open seasonally. Although closed during the weekdays in the winter, spring, and fall, Adventure City is open daily in June, July, and August, and open on Fridays through Sundays for the rest of the year. In addition to hosting some family-friendly productions on their main stage, the Segerstrom Center for the Arts in Costa Mesa has a full schedule of programming for kids in the smaller Samueli Theater, which includes some of the best children's performers in the country. Opened in 2006, the Samueli Theater will host a variety of special performances throughout the season. Past and future productions include "The Very Hungry Caterpillar," "They Called Her Vivaldi," "Emily Brown," and "Sanjata Kamalenya." Tickets are required to attend most shows. If your child has an extensive Hot Wheels collection or is a fan of Disney's "Cars" movies, he or she will love the Marconi Automotive Museum, which has full-sized versions of a number of race cars and hot rods. Kids will love learning about the history of racing cars and a variety of fun events scheduled throughout the year. The Marconi Automotive Museum is located in Tustin, California, at 1302 Industrial Drive, and although attendance to the museum is free for kids under 12 years of age, a $5 suggested donation is recommended for older guests. The museum is open for self-guided tours Mondays through Fridays from 9 a.m. to 4:30 p.m. daily, but the museum also routinely closes for private events and tours. If your kids are bursting with energy, you can take them to Sky Zone Trampoline Park in Anaheim, where the floors and walls are all made of trampolines, to let them bounce to their hearts' content. Featuring a ninja warrior course (including a warped wall), freestyle jump courses, ultimate dodgeball and volleyball games, and year-round events like a special Fornite Lock-in or Glow Night, Sky Zone is a great destination for all ages. Sky Zone Anaheim is located at 1301 North Kellogg Drive and is open daily throughout the year. However, the hours of operation vary by season; while it's open all day on weekends most of the year, the trampoline park is only available from 2 to 8 p.m. most weekdays while schools are in session during the spring, winter, and fall. As long as your kids don't suffer from motion sickness, whale watching is a great adventure. While there's no guarantee that you'll actually see a whale, chances of sightings are pretty good, especially in winter. Even if you don't see whales, the pods of dolphins and the sea lions basking in the sun are also fun to see, and just going out on the boat is also an adventure in itself. In Orange County, whale watching excursions depart from Newport Beach and Dana Point, and you can usually find discount whale watching tickets on Goldstar or other travel-planning websites. Kids 11 and up can have a flight simulation adventure at the Flight Deck Air Combat Center in Anaheim. At this famous attraction, guests strap into a mock cockpit to engage in a virtual combat battle in the sky. While your kids are taking to the skies, you can also relax in the Officers Club where you can watch the aerial adventures on large screens or browse through informational exhibits. The Flight Deck Air Combat Center is located just two miles from Disneyland at 1650 South Sinclair Street in Anaheim and is open throughout the year on Tuesdays through Sundays from 11 a.m. to 8 p.m. daily. The Bolsa Chica Ecological Reserve is a protected wetland that features a wildlife viewing bridge and over five miles of dirt trails. Take a self-guided tour or join a docent-led group to watch some of the more than 300 species of migratory birds that rest or stay on this stretch of the Pacific Flyway. The reserve is also home to special breeding islands for endangered species. The Bolsa Chica Ecological Reserve is located along the Pacific Coast Highway (PCH) at the north end of Huntington Beach, between Seapoint Street and Warner Avenue. You can stop by the Interpretive Center at the corner of PCH and Warner, which also has additional parking, to join a group or start your tour. Upper Newport Bay, also known as Newport Back Bay, is another wetland conservation area nearby. Since you can't go out on the water at Bolsa Chica, you may want to stop by the Newport Bay Conservancy, which offers weekend kayaking tours of Upper Newport Bay. Boomers Amusement Parks in Irvine is significantly cheaper than Disneyland if you're looking for a way to spend the afternoon playing games with your kids. Boomers Irvine is a great place to go if you're looking for a variety of activities and attractions that are perfect for varying ages: a miniature golf course, go karts, bumper boats, a rock wall, laser tag, batting cages, an arcade, a carnival, and several smaller roller coasters. Boomers Irvine is located at the intersections of Harvard Avenue and Michelson Drive (3405 Michelson Drive), just off the 405 Freeway. Boomers is typically open from noon to 9 p.m. during the week and 10 a.m. to 11 p.m. on the weekends.